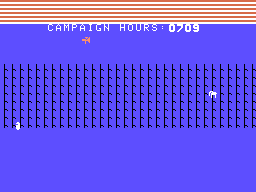 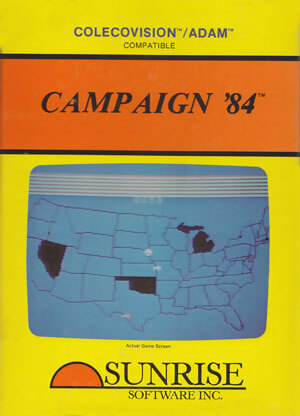 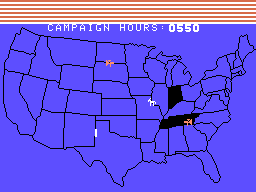 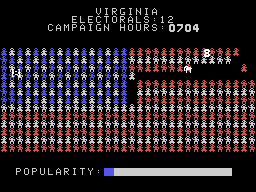 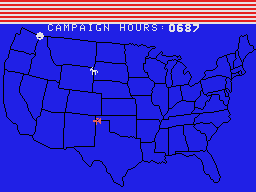 The plot involves the player campaigning in the continental U.S. to become the president of the United States. 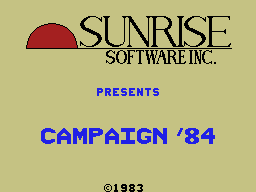 The player has a limited amount of time to play as well as random events which may come up. 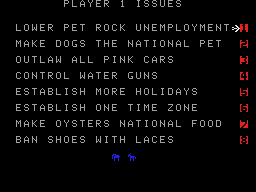 The player must focus on many comical issues like reducing Pet Rock unemployment or controlling water guns.